Woohoo! 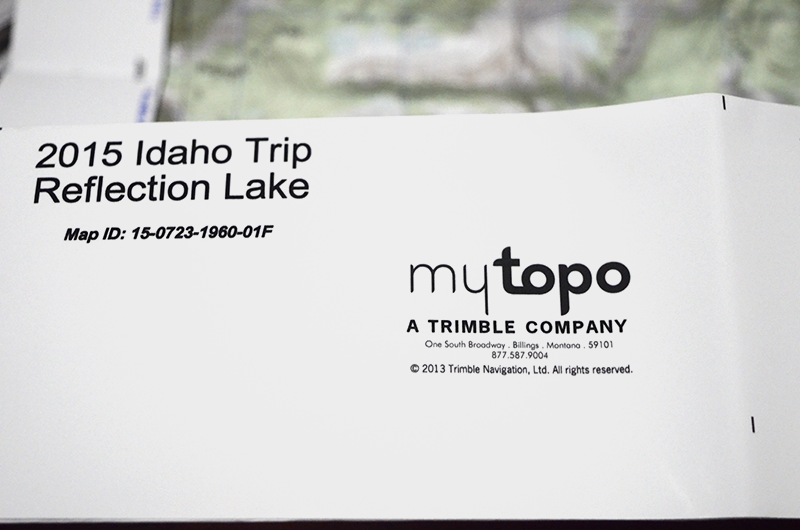 My custom mytopo.com map arrived in the mail today! I really like the quality. I’m also really glad that I opted for the folded map instead of rolled. 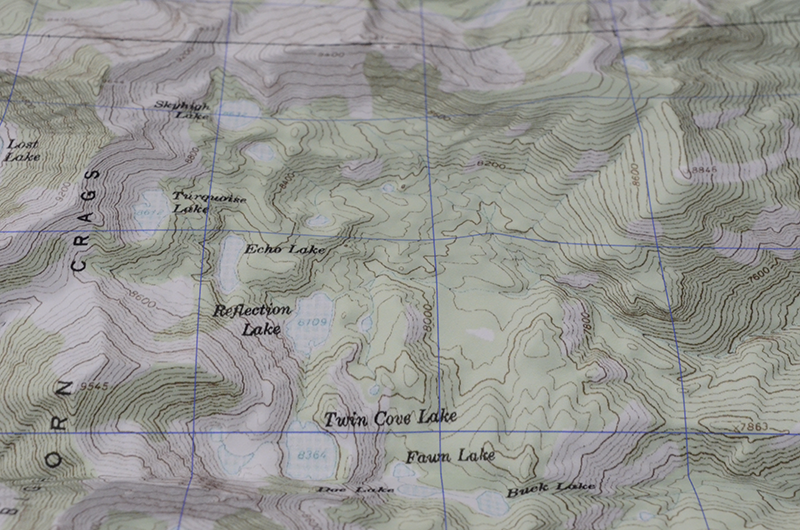 I wrestled with the decision since I’m used to the USGS rolled maps and folding them to meet my needs. I really like the form factor, though, and it’ll fit nicely in a pocket. The print quality is very good, though I don’t know if it’ll come through in the following image. Since this is a custom map, you can pick and choose which options are important to you. Notice how I’ve included both lat/long and UTM markings. 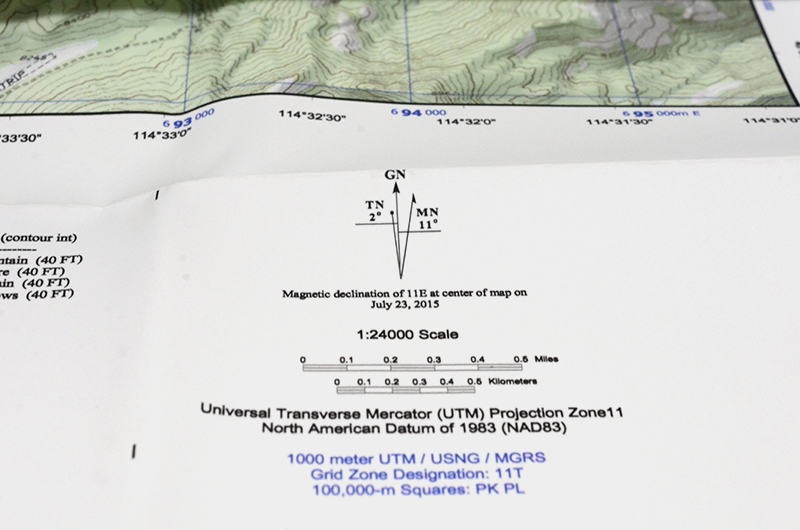 UTM is shown in blue as are the corresponding meridians. Something else that I really liked is that I could personalize the map. I don’t really care about having my name on it, but I did want to record where and when it was for. If you want to talk about fresh, look at this declination scale. We all know that declination changes, right? It doesn’t get much fresher than this. 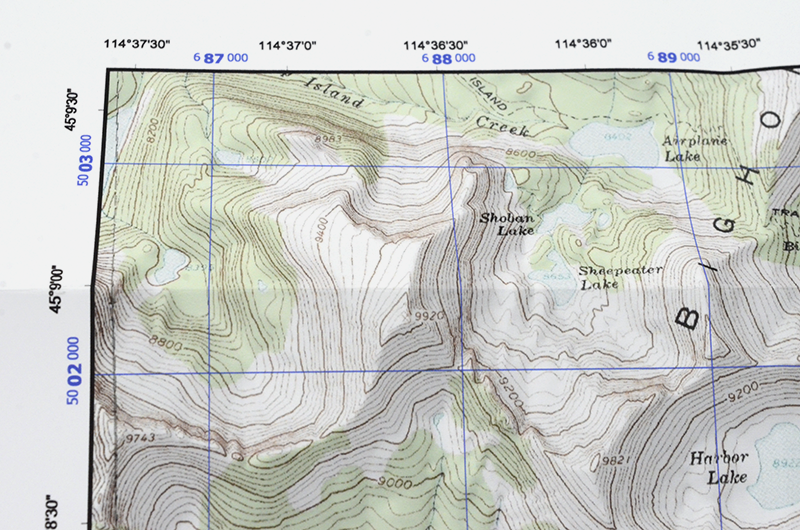 If you have an older map, it’s a good idea to check the current declination. Head over to NOAA Magnetic Field Calculator and enter your location (or where you’ll be).